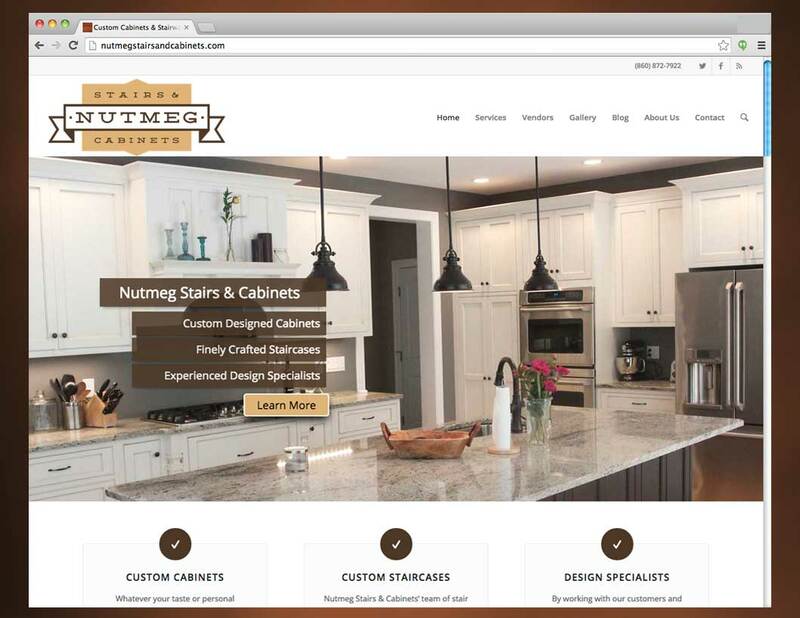 Nutmeg Stairs & Cabinets is a family owned and operated business offering premium bespoke kitchen design and re-modeling services including the production of custom/quality staircases and are highly skilled in many other fields of finished carpentry. Nutmeg Stairs & Cabinets’ team of stair specialists pride themselves on creating a quality product, whether its a simple box stair or an elegant curve, our quality craftsmanship is second to none. By working with their customers and offering the best quality, craftsmanship and service, they have established an excellent reputation nationwide. Solution: The company had over 20 years of experience providing high quality bespoke kitchen designs and production and it was fitting that we create a website and logo that illustrated their elite and premium skill. After the discovery process, we decided to go with a minimalistic and retro look and feel focusing on font treatment.